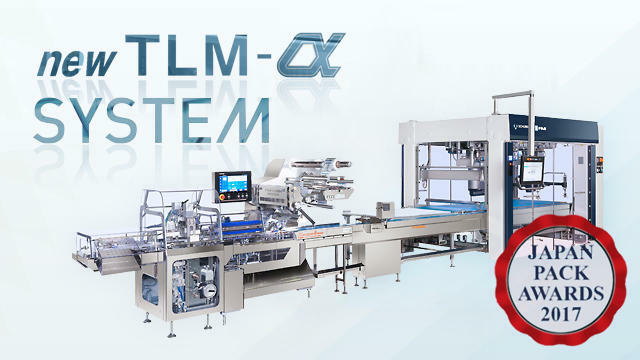 new TLM-α system | Horizontal Pillow Packaging Machines | Products | FUJI MACHINERY CO.,LTD. A multi-row automatic pick and place robot system developed in a partnership project with SCHUBERT (Germany). Three F4 robots with arms of different lengths work in one frame, enabling a much wider range of operation and saving more space compared to delta robots. It also has many effects, including reducing product damage, shortening cleaning and maintenance time, cutting down on alignment and direction correction, improving combined functionality, and lessening packaging defects.